Sticker of Chinese writing which means energy, ideal for tuning cars and motorcycles. A Chinese character symbol sticker with history and symbolism, from our oriental stickers collection. 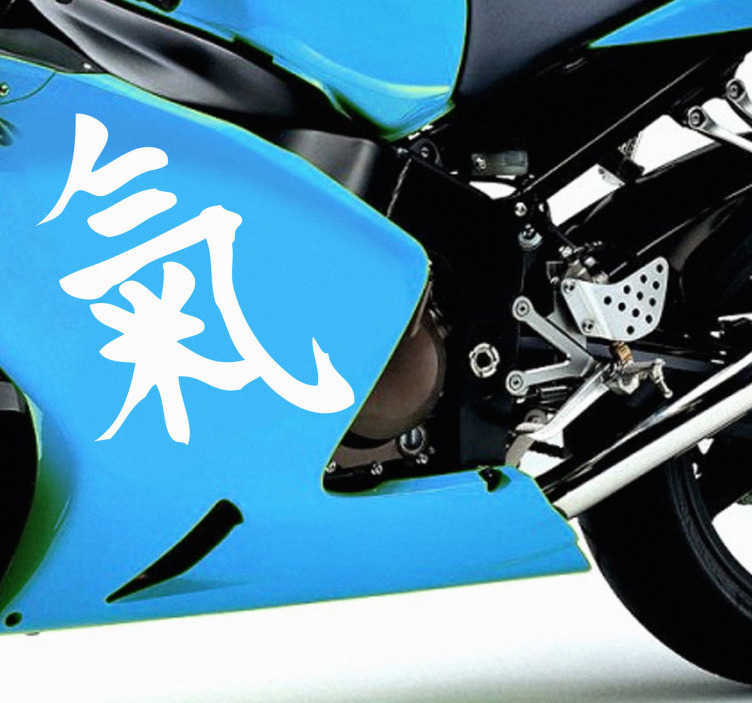 Make your car or motorbike different compared to all the other vehicles with these stunning Asian letters. Choose the colour that you like and that matches the frame of your bike. Weatherproof durability. Easy to apply and leaves no residue upon removal.